SmartResponse’s Cost per Sale program provides advertisers with a transparent, easy to use platform to run CPS campaigns. Our advertisers either supply their own ad formats or we help create graphics for them. Once creatives or campaigns are available, our advertisers can partner with our publishers for greater distribution. What types of advertisers run campaigns in our network? What types of campaigns run in the SmartResponse network? 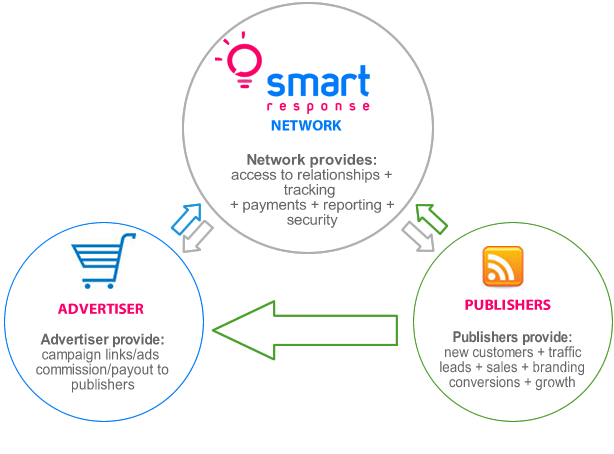 What types of publishers are in the SmartResponse network? Sign Up as an Advertiser and drive traffic to your website!